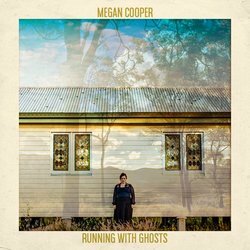 With glorious sophomore album Wild Mountain, Brisbane based singer-songwriter Megan Cooper confirms her skill and status in the intoxicating alchemy of songcraft. Debut album Ghosts, Choirs & Kings (2013) established Cooper as one of the most entrancing voices in Australian song, garnering a 4.5 star review from the Sydney Morning Herald and inviting the adulation of Rhythms Magazine. In recent years, Cooper has spearheaded the wildly popular Cake & Cordial Sessions, wowing crowds in Brisbane and Tamworth alike alongside peers including Paddy McHugh, Brad Butcher and Gretta Ziller. Wild Mountain, produced by Michael Muchow (Catherine Britt, Hillbilly Killers) is a considered, finely crafted album of breathtaking poise, drawing assuredly from the wellsprings of Americana, folk, classic country, and contemporary alt. country. The immensity of Cooper’s vocal powers lends the album a transcendent quality, while reassuring optimism and self-belief glint and gleam, gemlike, beneath the surface of the album’s songs of adversity and heartache. Wild Mountain is scheduled for release July 2018. Running with Ghosts is the first single from the album Wild Mountain. It was inspired by the imminent retirement of a local football hero, wanting to pass on advice to a new generation, but not yet ready to let go of the limelight.